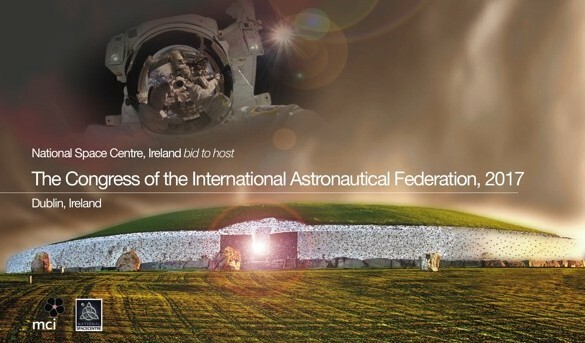 Ireland has launched its bid to host the International Astronautical Federation’s 69th Congress in 2017. The International Astronautical Congress is the world’s premier space event each year attracts up to 3,500 delegates from every sector of the global space industry to collaborate on future developments, share opinions, network and present their latest accomplishments and developments. National Space Centre is partnering with Professional Conference Organiser, MCI Dublin, part of the global MCI Group, to deliver a world-class bid to bring IAF 2017 to Ireland with the support of Failte Ireland. The Ireland bid will compete with bids from Adelaide, Australia; Bremen, Germany; Istanbul, Turkey; Orlando, USA; to win the prestigious event. The closing date for bids was 25 April last. The winning bid will be selected at the IAC 2014 conference to be held in Toronto from 29 Sept – 4 October, hosted by The Canadian Aeronautics and Space Institute.